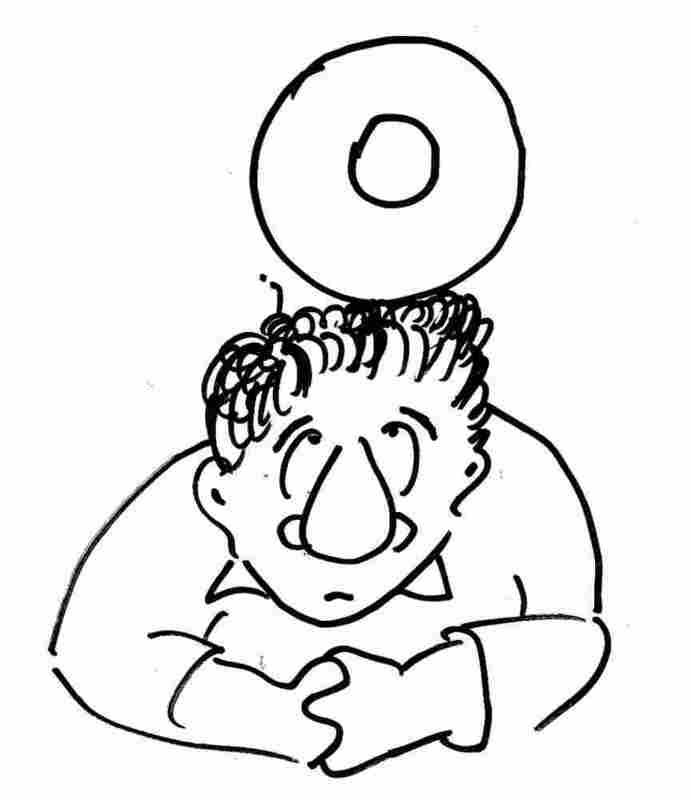 Vowels Control Your Brain : Krulwich Wonders... We tend to associate certain vowel sounds like "E"s and "I"s with light objects while "O"s and "U"s suggest heavier things. Could there be some evolutionary reason for this? Here's something you should know about yourself. Vowels control your brain. These "I" and "E" vowels are formed by putting your tongue forward in the mouth. That's why they're called "front" vowels. With these words, your tongue depresses and folds back a bit. So "O", "A" and "U" are called "back" of the throat vowels. OK, here's the weird part. When comparing words across language groups, says Stanford linguistics professor Dan Jurafsky, a curious pattern shows up: Words with front vowels ("I" and "E") tend to represent small, thin, light things. Back vowels ("O" "U" and some "A"s ) show up in fat, heavy things. It's not always true, but it's a tendency that you can see in any of the stressed vowels in words like little, teeny or itsy-bitsy (all front vowels) versus humongous or gargantuan (back vowels). Or the i vowel in Spanish chico (front vowel meaning small) versus gordo (back vowel meaning fat). 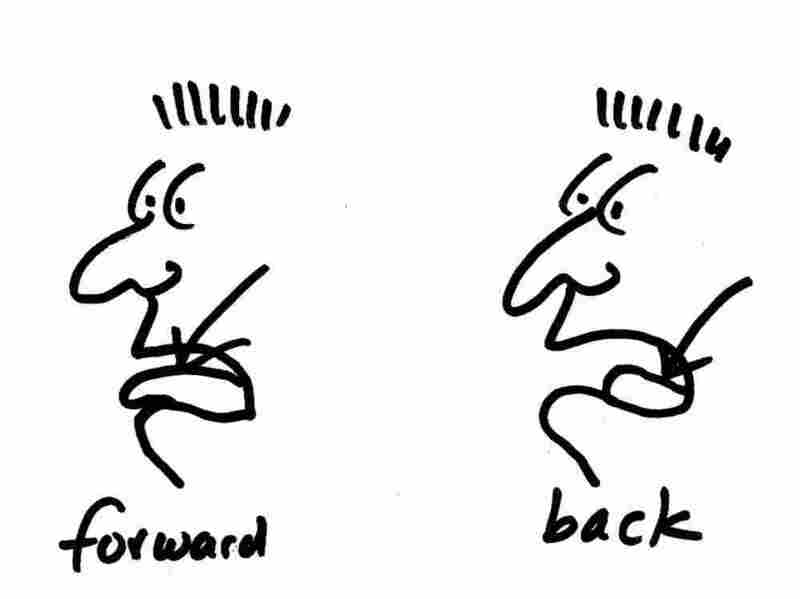 Or French petit (front vowel) versus grand (back vowel). If I make up two words, "Frish" and "Frosh" and tell you each is about to become a new ice cream, which of the two seems richer, heavier? 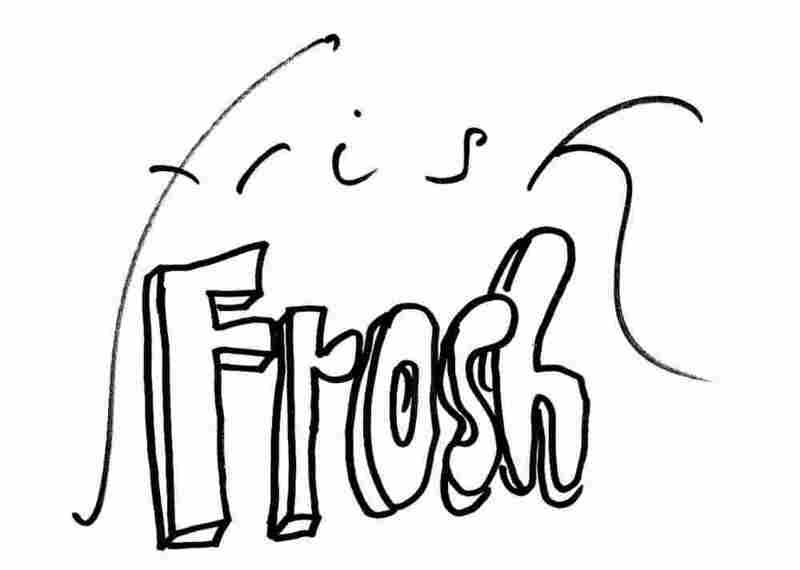 For me, "Frosh," (with the back vowel "o") seems creamier. I don't know why. Just feels that way. And not just to me. 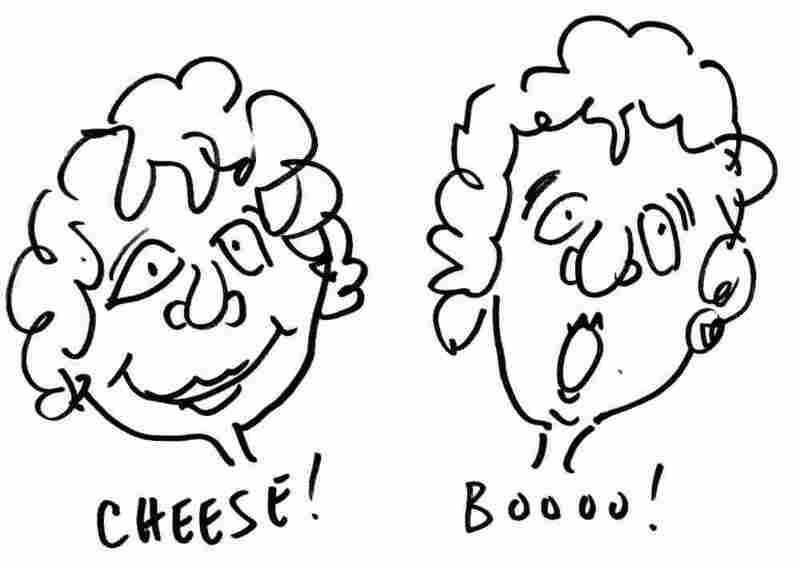 A study in the Journal of Consumer Research found most people imagined Frosh creamier than Frish. "In each case," reports Professor Jurasky, "the participants in the study tended to choose the product named by back vowels (dutal, nodax) as the larger, heavier, thicker, darker product. Similar studies have been conducted in various other languages." Jurasky then wondered, Do businesses know this about vowels? For example, would an ice cream company (looking to create a rich, creamy and satisfying product,) and a cracker manufacturer, (looking to make something, thin, light and crackily) use different vowels? To test the hypothesis I downloaded two lists of food names from the web. One was a list of 81 ice cream flavors that I constructed by including every flavor sold by either Haagen Dazs or Ben & Jerry's. The second was a list of 592 cracker brands from a dieting website. For each list, I counted the total number of front vowels and the total number of back vowels (details of the study are here). 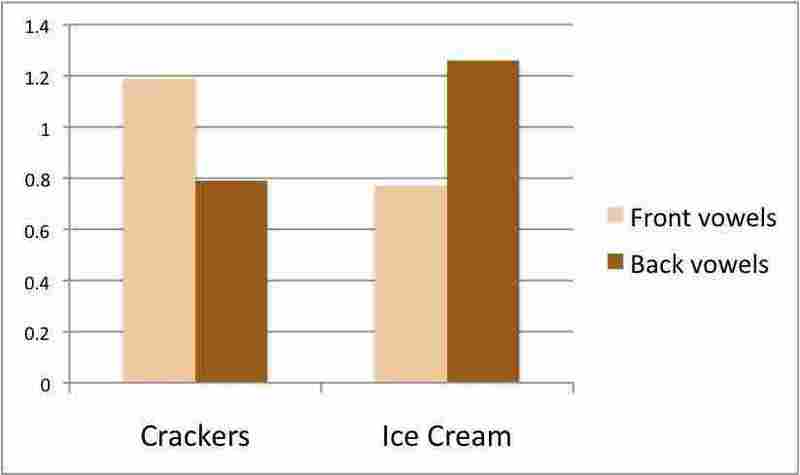 The result, shown in the table [below], is that ice creams names indeed have more back vowels and cracker names have more front vowels. But the cracker people stick pretty much to "E"s and "I"s.
Why do we associate "front" vowels with small, thin light things and "back" vowels with big, solid, heavy things? Two linguists, John Ohala and Eugene Morton proposed that over evolutionary time, humans instinctively associate pitch with size. Lions, bears, seals make low sounds, canaries, mice, rabbits higher sounds. Not always, but enough of the time that when we hear a low frequency (even in an "O" or a "U") we may think big and heavy, whereas higher frequencies (even in "I's and "E"s) suggest small and light. The Origin Of The Smile? Dan Jurasky goes even further. Scholars have noticed, he says, that when people say "Boo! ", they form an o-shape with their lips and mouth, and look aggressive and a little dangerous. But use the "front" vowels, like "I" and "E", your mouth and lips will widen into a kind of smile. Why do we say "cheese" when it's time to take the picture? Why does the word smile contain an "I"? These front vowels, he says, are the "smile" vowels. One day they may even explain why we smile, but in the meantime, the big news is that it's old fashioned to think of vowels as just sounds. They are more than that: they are little strings that pull on our brains and it turns out, "I"s pull us to different places than "O"s.
Thanks to blog reader and reporter Peter Smith of Good Magazine for suggesting this story.